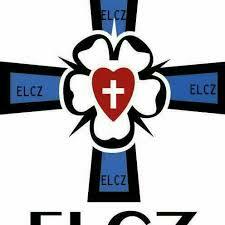 BEITBRIDGE - Evangelical Lutheran Church in Zimbabwe (ELCZ)-run Beitbridge Mission Primary School which is building a state of the art eight-classroom block is appealing for $903 000 to complete the project. The school head, Egness Maserah said the block is being constructed to address an acute shortage of classrooms at the school which now has an enrolment of 1 451 pupils. Construction work started in October last year. The ambitious project lost its course when the economic situation changed for the worse in the last eight months. She said a dinner dance is planned for May as one way of raising funds for the construction of the block. At the dinner function, guests will be invited to pledge whatever they can towards the construction of the block. Maserah said that the school has only 23 classrooms. There is also a shortage of teaching staff of 11 teachers and the ECD department is the most affected with the infant, teacher ratio of 1:25. Beitbridge Mission is known for its high Grade 7 pass rates and it came out fourth in the October 2018 Zimsec examinations in the district with a pass rate of 93%. This was an improvement from the 88% achieved in 2017. The first position in the district went to Oakliehouse and Wellton which both had passrates of 100 each. On third position was Beitbridge Government Primary School with 95 percent pass rate. “We are appealing to well- wishers to donate in cash and building material. Those who want to donate can deposit money into our FBC account, Beitbridge Mission SDC 115 0019070000 or ZB account for Rands 4555 68311 7201 and the account name is Beitbridge Mission SDC,” said the head. She said that the school had hoped to complete the project in a short space of time but the economic situation nosedived scuttling all the financial plans that were in place. “We were quite ambitious when we started the project hoping that we would complete the block in a short space of time but due to economic hardships we have exhausted all the funds and we are currently doing minor fundraising activities to raise the money. We are holding consultation days, civic days and inviting stakeholders to sell a variety of goods and give us a certain amount of money. We are also running a chicken project and we sell our own uniforms,” said Masera.